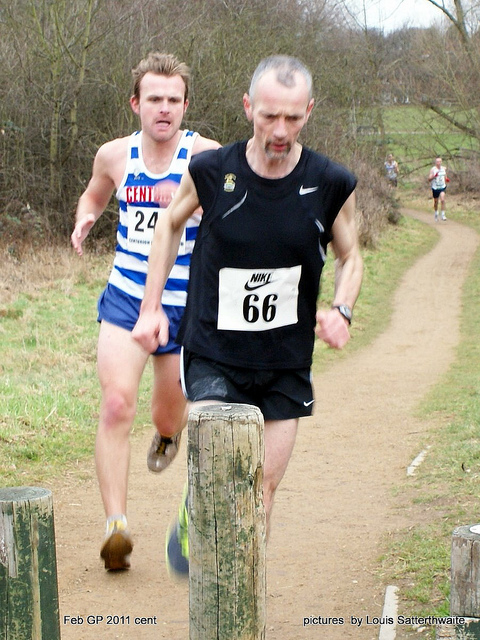 The annual February Road Running Handicap took place on the 6th February 2011 at Chelmsley Wood, Solihull. The race was combined with the monthly Centurion Grand Prix Series. There were only 15 of our members who registered for the handicap although there were several members running in the GP race, some claiming they didn’t know about our handicap. This was despite Newsletter articles, posts on this Blog as well as the Yahoo e-Group and mentions on the Twitter feed and Facebook Group. Suggestions on how we can improve participation will be gratefully received. The prizes were presented by our President, Margaret Simpson to the winners who no doubt enjoyed their drop of wine.